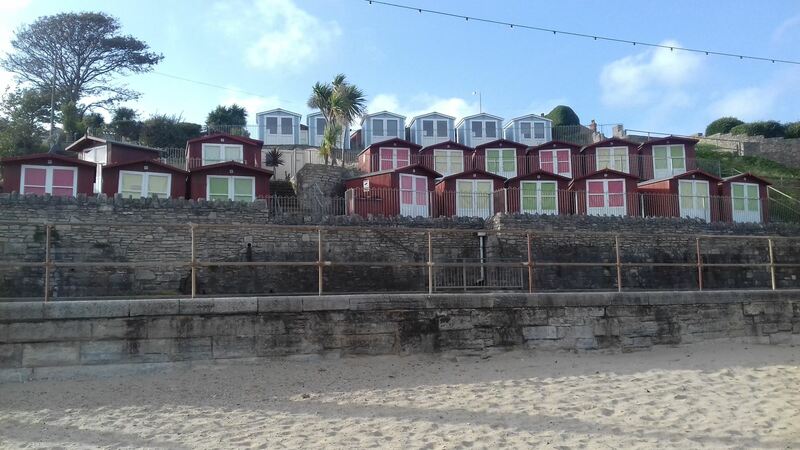 Six new beach huts have arrived in Swanage! We have six ‘Spa Retreats’ available to hire on a weekly or seasonal basis. These beach huts were built by Ecologic Developments based in Bournemouth and are constructed to a very high standard. All huts include two double glazed doors, insulated walls, a cushioned bench plus three large cushions, a removable table and interior cladding. 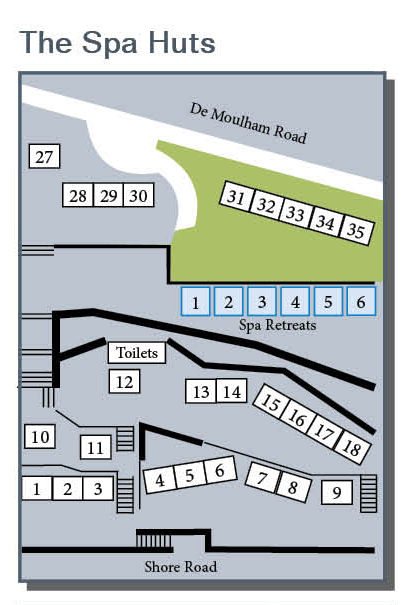 The Spa Retreats are located near the top of the Spa Bungalows, opposite Shore Road. They do not have direct access to the beach but benefit from stunning views. Fig. 1 - as described above, showing what is included inside as standard. Fig. 2 - as Fig. 1 with adornments. All prices are inclusive of VAT @ 20%. Advance bookings for these beach huts will only be available for weekly or seasonal hire. Daily bookings are not available. The Spa Retreats will remain open all year, and includes access to the Spa toilets. Please see our website for daily booking criteria. We are putting together a reduced hire charge for those people who may wish to book a beach hut for the whole season (52 weeks for The Shore Beach Huts, and 26 weeks for The Spa Beach Huts) but excluding the peak season. Please contact us if you wish to have more information regarding this proposed hire charge.